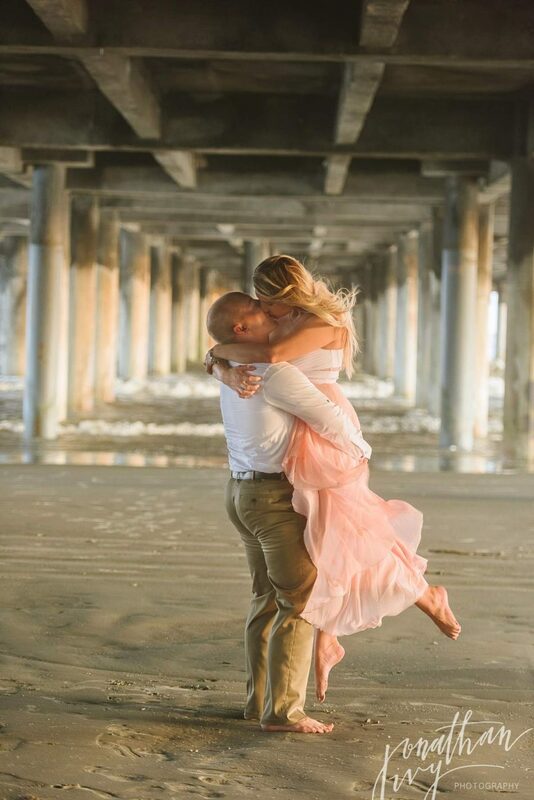 Chris and Kaitlyn are having a destination wedding in St Lucia so they wanted tropical beach engagement photos, but in Houston we don’t have very many lush tropical beaches so they decided to have Galveston Beach Engagement Photos instead! Galveston beaches are a great place for engagement photos. 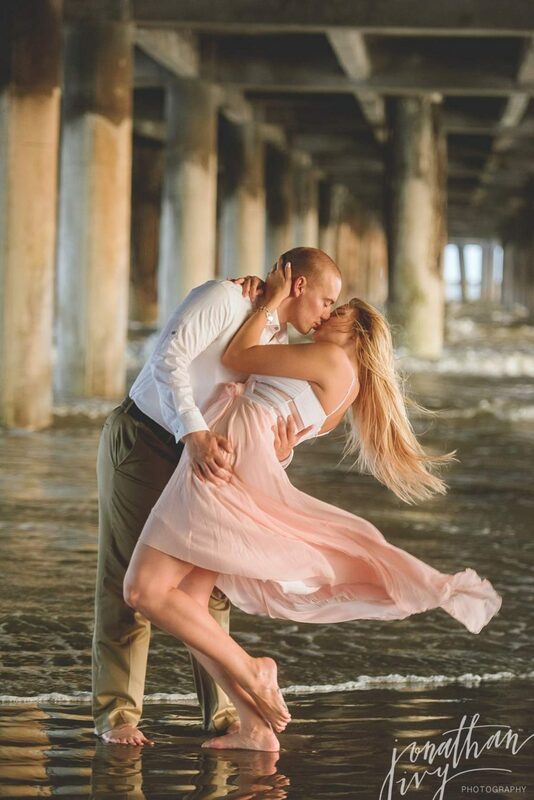 Downtown on The Strand is a great place to get some great historic old town engagement photos and a few minutes down the street and you have a gorgeous beach! They also decided to bring their puppy for their engagement photos. I love bringing pets on engagement shoots, they are the first members of the family! Love the “My Humans are Getting Married!” sign! 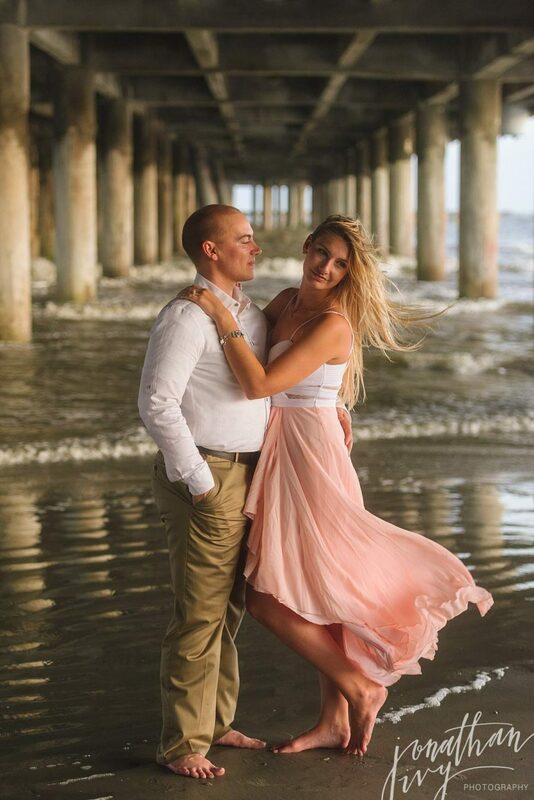 The galveston piers are perfect spots to have some romantic beach engagement photos taken! 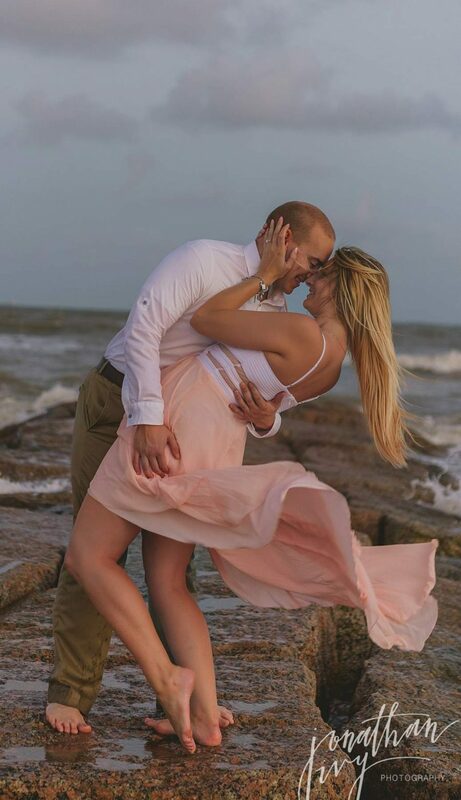 Kaitlyns dress is stunning the way the wind moves it! Its a perfect beach engagement dress! 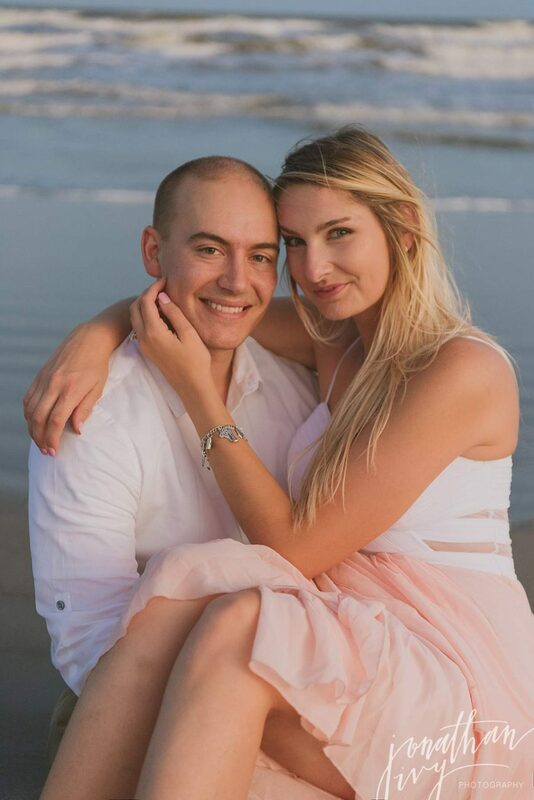 Finding beach engagement outfits is so much fun! Click here to see more Engagement Photos by Jonathan Ivy. can truly see the love they share.